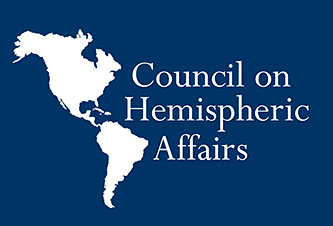 On Monday, March 11, the Council on Hemispheric Affairs was mentioned by the Jamaica Observer in an article titled, “US think tank queries future of ALBA, Petrocaribe without Chávez.” Please click here to read the article. On Tuesday March 12, COHA Research Fellow W. Alejandro Sanchez was interviewed by Russia Today’s debate show, Cross Talk, on the Malvinas/Falklands referendum. Please click here to watch the video. On Thursday, March 14, COHA Director Larry Birns was interviewed by 102 FM Hot Radio, a Jamaican news radio station. Please click here for additional information. On Thursday, March 14, COHA Director Larry Birns was interviewed by the Toronto Star in an article titled, “Pope Francis’ election stirs up Argentine ‘dirty war’ allegations.” In the article Director Birns remarks that, “The Argentine church was distinctly conservative” and “It was a church of the rich and not of the poor.” Please click here to read the article. On Thursday March 14, COHA Research Fellow W. Alejandro Sanchez published an article entitled: “Venezuela’s April Elections: Hola Presidente Maduro?” in VOXXI. Please click here to read the article. On Friday March 15, COHA Research Fellow W. Alejandro Sanchez published an article entitled: “A Predictable Outcome: The Falkland Islands/Islas Malvinas Referendum” in VOXXI. Please click here to read the article. On Monday, March 12, Research Associate W. Alejandro Sanchez article, ” Falklands vote shows state is problem but change is likely worse” was featured in BLOUIN News, Please click here to read. On Tuesday, March 12, COHA Research Associate Gene Bolton article, “Off and Running: Mexico’s Pena Nieto’s Domestic Agenda-Analysis” was featured in the Albany Tribune and the Eurasia Review. Please click here to read the article in the Albany Tribune, and here for the article in the Eurasia Review. On Wednesday, March 13, COHA Senior Research Fellow Frederick B. Mills article, “The 2014 Presidential Elections in El Salvador and Transnational Electorate” was featured in the Eurasia Review. Please click here to read the article. On Thursday, March 14, COHA Director Larry Birns and COHA Senior Research Fellow Frederick B. Mills article, “Hugo Chávez: The Unraveling of The Washington Consensus and the Skewed Future Direction of U.S.-Latin-America Relation” was featured in the Eurasia Review. Please click here to read the article.